We all remember the brutal Georgia winter of 2013. Unfortunately, weather experts are predicting another season of harsh winter weather. When the temperatures drop, you need to be sure you can count on your furnace to keep you warm. Now is the time to have your equipment tuned up, repaired or replaced! Contact Cool Masters Heating and Air for all your furnace repair Alpharetta GA needs! Many people never have their furnace inspected. The only time they realize they have a problem is when it stops working. Don’t get caught in this situation! Schedule an appointment with us so you can have a proper working furnace all winter long. If your heating system is not running properly, let our technicians provide you with the Alpharetta furnace repair service you need. As HVAC experts, we pride ourselves on exceptional work and superior customer service. Upon fixing your equipment, we will teach you how to properly maintain your system to prevent future problems. This will also help maintain your warranty and lower your power bills. While proper maintenance and repairs is vital to the life of your furnace, there will come a time when you need to replace it. Whether your heating equipment is broken or you want an upgrade, we can help you choose the right unit for your home. Our Alpharetta heating experts will analyze your needs and assist you in choosing the perfect furnace for your house. Some of the larger Alpharetta HVAC contractors like to upsell products that the customer simply doesn’t need. We care about our customers which is why we always provide honest answers and recommendations. 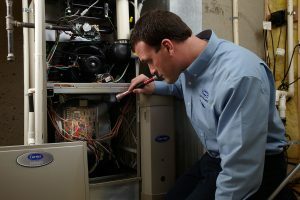 As your local Alpharetta experts, Cool Masters Heating and Air strives to provide the top furnace repair Alpharetta GA has to offer. Have any questions? Give us a call or shoot us an email! Let our friendly staff provide you with all your heating needs!